We recently got a chance to spend some time with the updated Amazon Echo (the middle child Echo, not the Dot and not the Echo Plus). 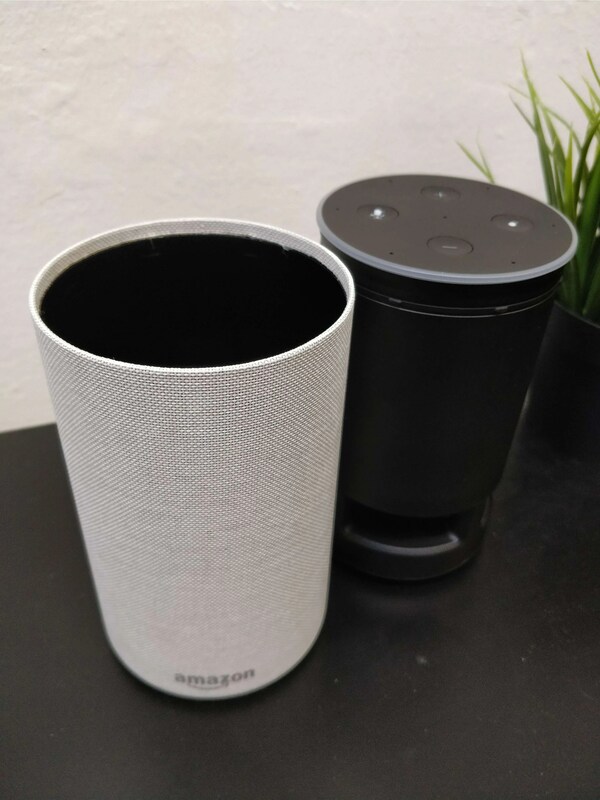 Amazon has put a lot of effort into its Echo Platform with 5 main Echo devices now available (I’m not including the Echo Tap or the Echo Look as they are a bit niche and not readily available in Ireland). 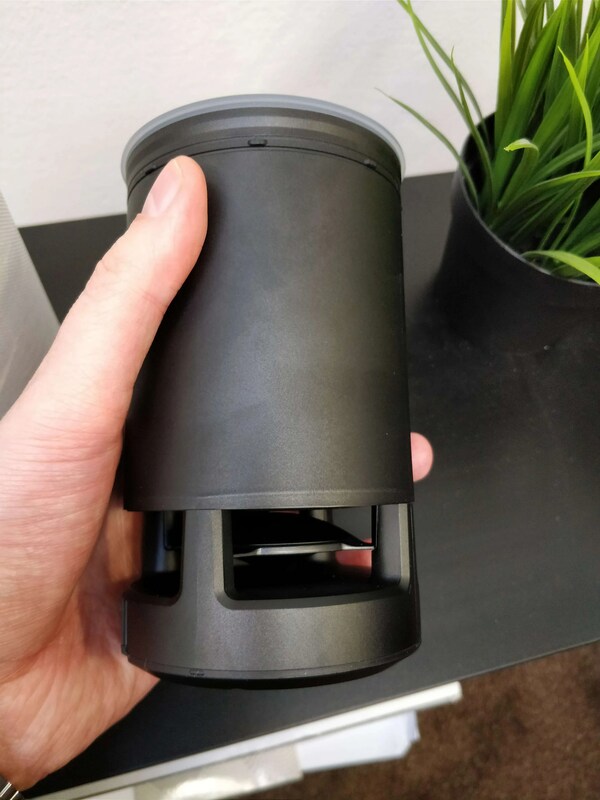 The Amazon Echo (2nd Gen) is a different looking beast to the original echo. The new Echo Plus retains the original Echos form factor with the 2nd Gen Echo getting a new, more living room friendly look. It’s now also got optional sleeves. These can be fabric (like the grey review unit we had), or wood, or even metal. So there is choices for everyone to make it suit your living space. Setup of your Echo couldn’t be simpler. Simply download the Alexa app to your phone, plug in the speaker and follow the instructions on the app. Within a couple of minutes you’ll be setup and your speaker will be connected to your home network and you’ll be ready to rock. There are really 2 main reasons for considering a Amazon Echo smart speaker. 1 – You want a good, connected speaker to listen to your music without having to worry about bluetooth connections and 2 – you want to start or upgrade your smart home systems. The first reason alone is good enough to consider the Echo. We found the sound quality stellar from the little device. It’s around the same height as a large drinks can and a little fatter, but the sound it gives off is extraordinary. Honestly, I was blown away by the sound quality. 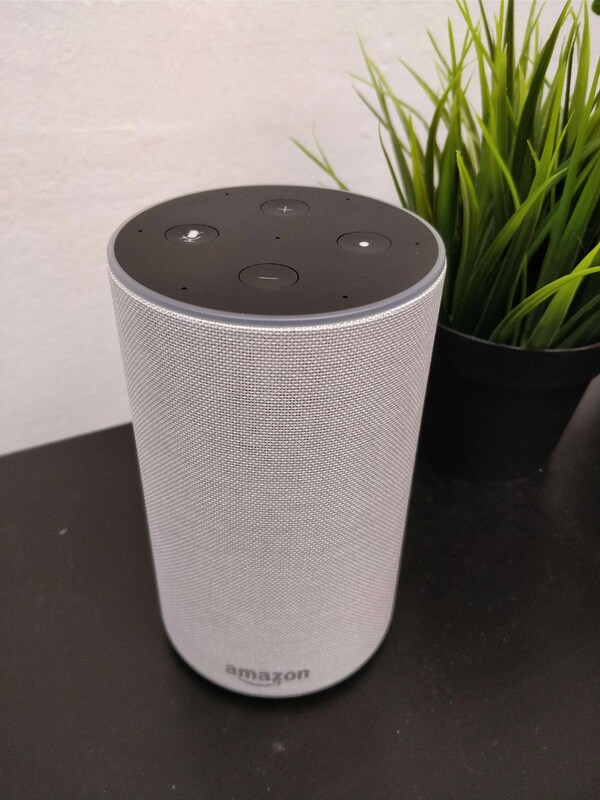 Simply asking Alexa to Play a song (you can connect your spotify account or use Amazon’s Music service if your a Prime subscriber) or you can ask ‘Alexa, tell Tune-In to play Spin 1038’ for example and you can listen to the radio. I really couldn’t go above level 4 in the volume at home as it as more than loud enough to fill the room. I even brought the Echo into work to show some friends who were thinking about getting one and after hearing how loud it could get and the audio quality, 2 of them went out and bought one that day, just to listen to music on (they have since upgrade some of their home to a smart home, more on that in a moment). I’ve had 3 Echo dots in my home for some time so I thought it was good comparison to try the new Echo and see what the main differences were. The sound quality alone is good enough reason to go for an Echo over an Echo Dot but that might not be suitable in all situations. 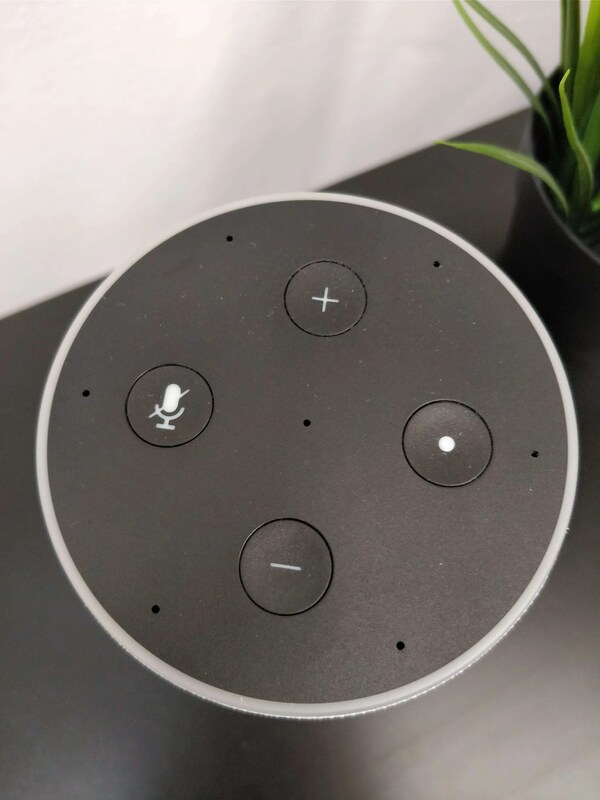 For example, an Echo Dot (or even the Echo Spot) would be more suitable for a bedroom if you don’t plan to listen to very loud music and want it more for controlling things / background radio. In my house we use the Echos to control everything from my lighting (when connected to TP-Link Smart Sockets or Hive Bulbs. It also works with other systems, eg. Philips Hue, Ikea Smart Bulbs and more), to my Heating (a Hive Heating System) and even my TV (using a Logitech Harmony Hub system) and I have to say, while not life changing, it’s definitely made things easier, especially with a 6 month old in the house. Being able to feed the baby and boost the heat, or dim the lights, or even change the TV channels has been great. As has being able to pre-heat the bottle warmer and set a timer for when the bottle will be warm enough for our little one to enjoy. Another great feature is the calling / drop in feature. If you are in one room and want to talk to someone in another room, you can use them like an intercom and ‘drop into’ that room. It’s worked great if I was upstairs and needed something from my wife downstairs. Over all, my time with the Amazon Echo (2nd Gen) has been great. I’m planning on upgrading one of my Dots to a full Echo in the Kitchen as that’s where we listen to the most music when eat / prepping dinner. I did find on the Echo (2nd Gen) that my voice was heard first time, more often and Alexa recognised what I was saying more accurately (she’s usually pretty accurate getting 8/9 things out of 10 right on the Dots, but it was more like 9 out of 10 on the Echo (2nd Gen)).